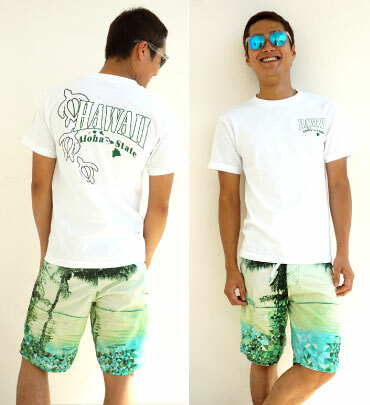 Men's Hawaiian T-Shirts | Free Shipping from Hawaii! When you think of Hawaiian clothing you probably think of Hawaiian Shirts. While we all love Hawaiian Shirts, we recognize that they are not for every occasion. More often than not you just want to throw on a T-Shirt and shorts when going out. But how do you do that while still maintaining the Hawaiian Spirit? 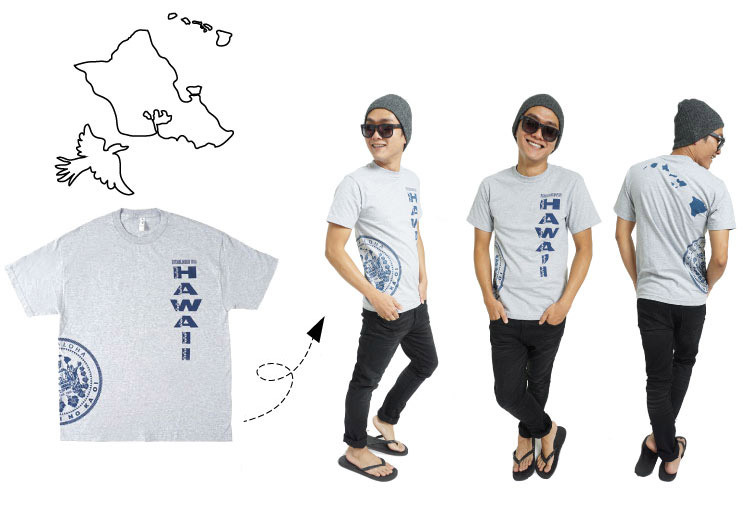 Here are a few ideas to coordinate your Hawaiian T Shirts outfit to look cool, be comfortable, and showcase your Hawaii Pride. An contemporary outfit featuring navy shorts with a white T-Shirt with a shark print design. When matched with a long-sleeve shirt it creates a relax yet complete ensemble. 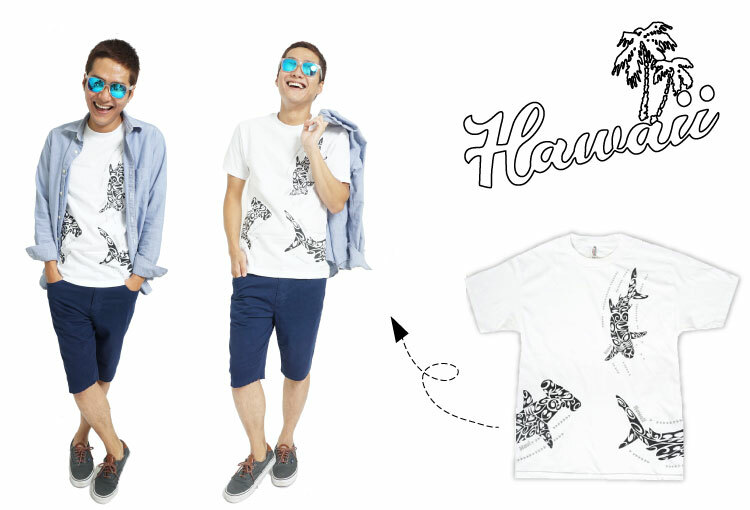 Match the Hawaiian Islands gray T-Shirt with black pants for a simple relaxed look. Combine it with a knit beanie and have a stylish complete outfit perfect for many occasions. The Honu pattern on this T-Shirt symbolizes happiness and together with board shorts, this outfit portrays the feeling of endless summer. Wear this outfit to the beach or around town, just remember to bring it with you on your next trip. Coordinate our blue shark print T-Shirt with jeans for a casual comfortable look. Match the shirt with beige pants for a more contemporary look perfect for adults.